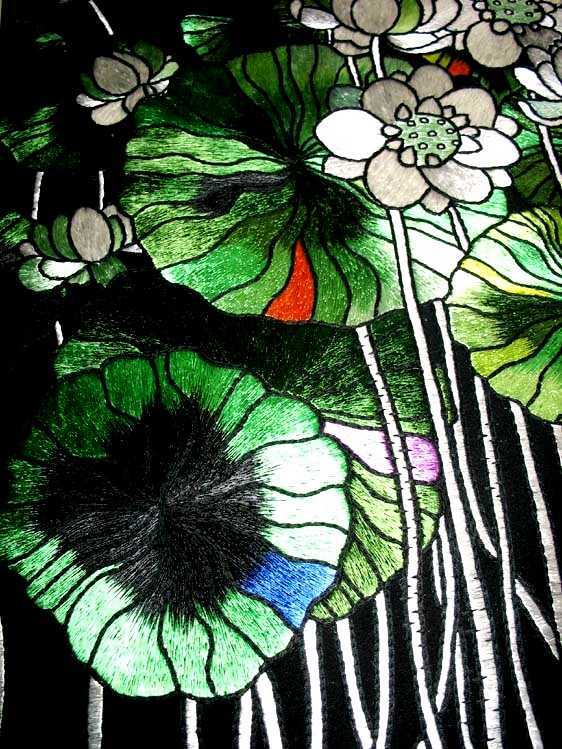 This one of a kind embroidery belongs to a serie, Circle of Life, of three exquisite embroidery of lotus in life: beginning, blossom, and ending. 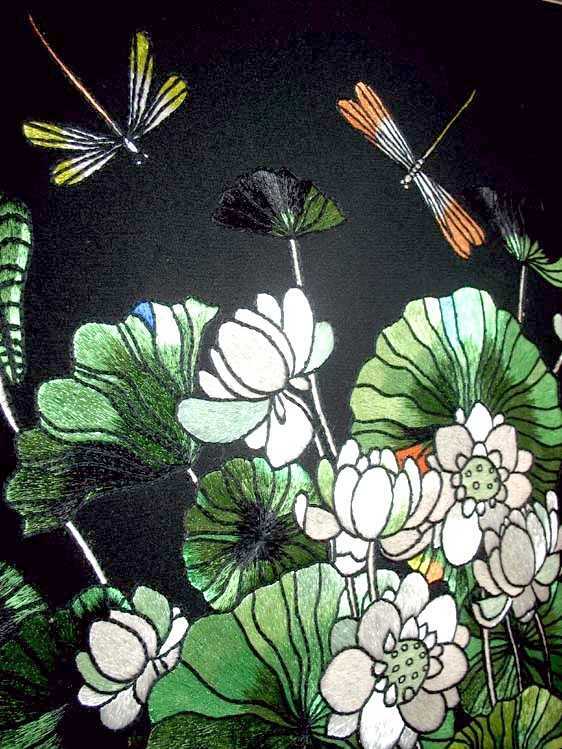 The blossom of the lotus is hand embroidered on black silk with beautiful, strong, lotus blossoms, thriving up for life. 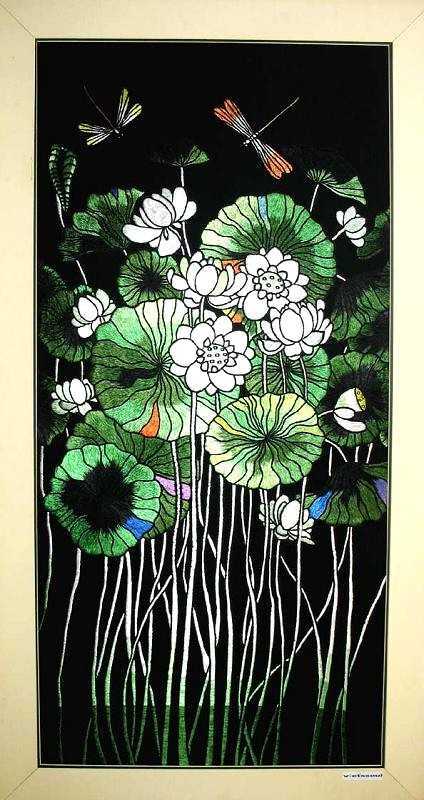 This embroidery is a master piece of fine embroidery art with beautiful colors, higly skilled threads which creates the great wholesome energy of lotus in the greatest moments of their life. Wonderful and beautiful! !